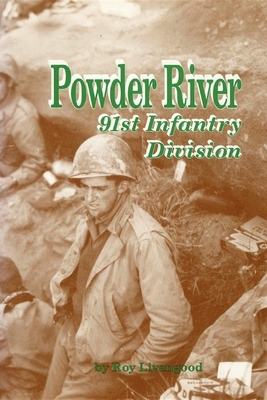 Your military library will not be complete without this authoritative history of the 91st Infantry Division written by someone who was there. Roy Livengood has very effectively combines facts and dates with the memories of the men who were there. This definitive history contains Division Training, Operation Vendetta, the battle in Italy, Arno River Campaign, Battle for II Giogo Pass and the Gothic Line, the Winter Line, Po Valley, the Alps, Trieste, and occupation interspersed with personal narratives, photos, maps and Sad Sack cartoons. Roy Livengood served with Company E, 363rd Infantry. He has written extensively on the Italian Campaign and is the author of many articles and stories. His account of the battle at Livergnano was translated into Italian and published in Italy in 1992. He lives in Salina, Kansas, with his wife, Rita.